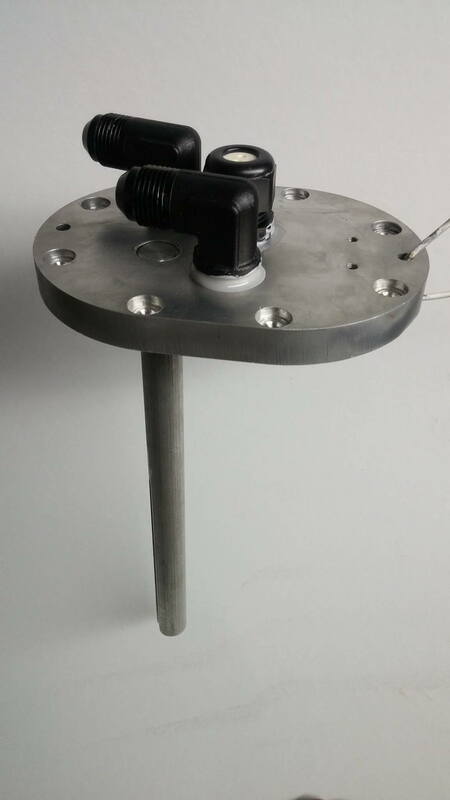 For those of us who do not wish to butcher the stock sending unit and would like a cleaner look, we offer an aluminum fuel tank sending unit that accepts -6 and -8AN fittings, and also works with the stock level sender. When you buy one of our AN fuel covers you will also get two AN bulkhead fittings of your size choice, 7mm allen head bolts to mount the cover, and an electrical bulkhead to run your wires. Each cover comes with 9" aluminum shaft with a 4.50" slit that allows for easy pump height adjustment and mounting via hose-clamps for one or two pumps. Last edited by stukellymotorsports; 02-26-16 at 05:00 PM. 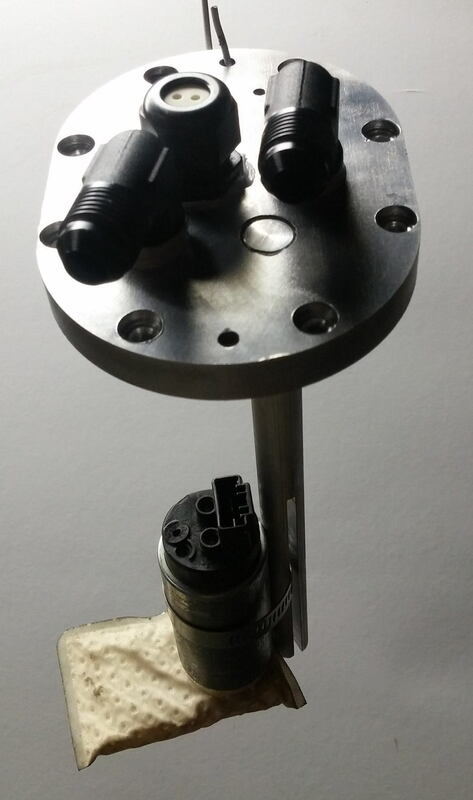 Tired of trying to drill and seal the stock fuel sending unit cover to fit AN fittings? Get our AN Fuel Cover and save yourself the hassle! Stock Fuel Pump enough for surge setup?